As the Garden Liaison and part of the Chancellor’s Undergraduate Internship Program, Chelsey conducted a year-long assessment of the PICA program by holding focus groups with PICA residents, PICA alumni, campus gardeners, and student leaders in order to determine areas of strengths/improvements, as well as potential avenues for future collaborations. This project created a synergy that aided in securing a staff position for PICA during the 2014 – 2015 school year. 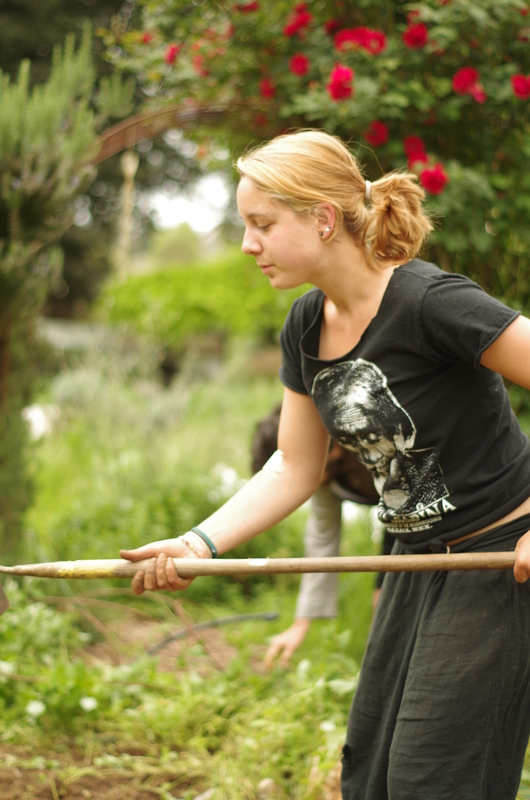 The assessment illustrated that PICA has been successful at teaching students professional skills, providing opportunities for residents to learn to cook for a crowd using plant-based ingredients, offering consistent skill-sharing through garden workday groups, and creating a sense of community that one may not find in the traditional dorm setting. In addition, PICA has a rich alumni legacy that encompasses communal houses with gardens off-campus, which includes the well-known “Food Not Lawns” house on Laurel Street. Throughout her internship Chelsey aided with program outreach and communication through her participation in the Office of Physical Education, Recreation, and Sports’ (OPERS) Fall Festival, the Center for Agroecology and Sustainable Food Systems’ (CASFS) Harvest Festival, Strawberry and Justice Festival, Stevenson College’s Healthy World Healthy You event, Practical Activism Conference, Campus Gardens’ Food Systems Learning Journey, Farm Fridays, Winter Inter-Organizational Sustainability Retreat planning committee, Meet the CUIPs, Earth Summit, and Earth Week. Chelsey also maintained social media sites, coordinated a website migration, collaborated on event planning with other campus organizations, managed list serves, hosted the Student Gardens Market Cart, coordinated grant writing proposals that raised $20,593 (Carbon Fund, Campus Sustainability Council, and Measure 43), facilitated groups during garden workdays, and advocated for campus gardens and sustainability via the Measure 57: Gardens, Resources, Opportunities, and Waste management (GROW) campaign. This year I learned more about what it means to be a coordinator, planner, leader, and team member by taking on the role as PICA’s Events Coordinator. My position is through the Provost Sustainability Internship Program (PSI) through the Sustainability Office, where I learn leadership and professional development skills. Working for and with PICA has been a new learning experience for me, coming from a horticulture gardening background to a community focused on agricultural gardening. I am grateful to have worked in such an enjoyable environment, and with a leadership team that holds strong values for community and sustainability. I am extremely thankful for the mentorship and support I have received from Mira along the way. Some of my favorite moments from this year were from the quarterly workshops. 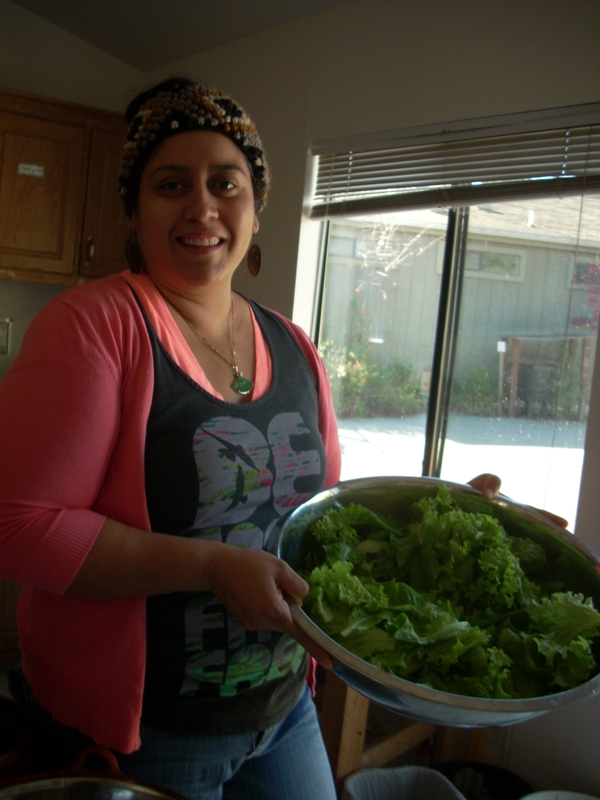 In winter I enjoyed Maiya Evan’s visit to talk about food justice and its affect on our health and well-being. Maiya’s presentation and our discussions helped to contextualize why systemic social justice is a crucial part of sustainability and sustainable food systems. The following workshop connected culture to food where we made delicious Puerto Rican food. Sally Neas’s visit for canning and making bread and cheese were both a great success. 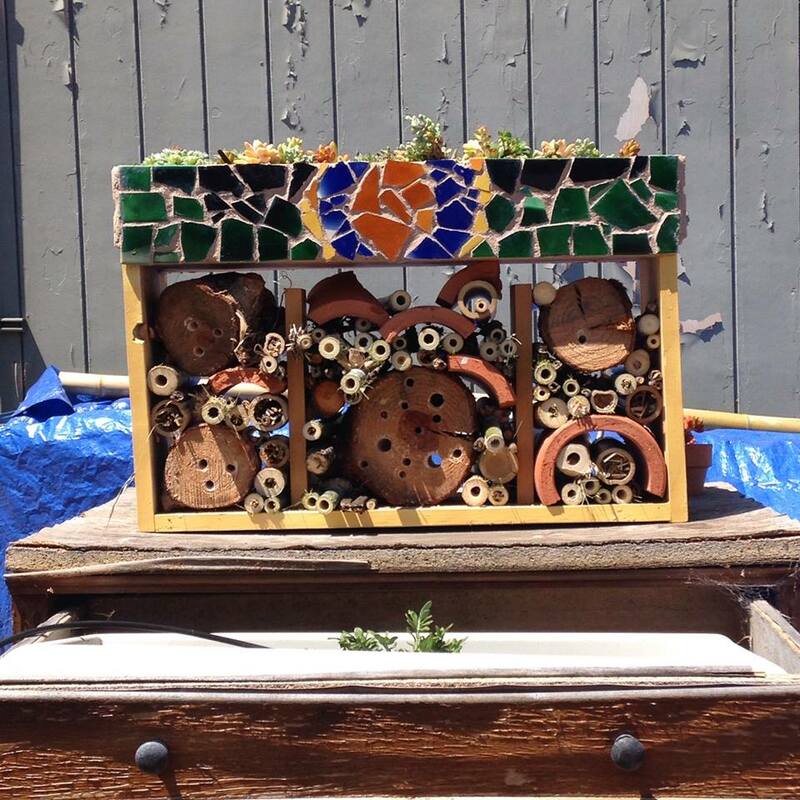 We successfully created and installed an insect hotel for pollinators and beneficial insects for the last workshop of the year. I also appreciated the workshops that included garden and compost skills like fruit tree pruning and worm composting since that information is also new to me. I learned a lot this quarter from coordinating workshops! I really enjoyed working with campus sustainability events this year. Collaboration is so beneficial and often necessary for events and communities. I worked on the planning committee for the annual Earth Summit event, and participated in other campus events like the Annie Leonard lunch, Village Housing Food Justice Fair, Sustainability Spring Fest, Student Environmental Center general gatherings, and the Generation Waking Up training. It was a great experience to coordinate with other organizations, get to know other organizers and sustainability interns, represent PICA on campus, and be apart of a larger sustainability movement. My hope is that my experience working with PICA has helped to invite more people into the community and to provide resources, new perspectives, skills and empowerment to others. It was exciting to see more folks visiting and supporting PICA through events. I thank all those that helped me along the way. You all keep this community thriving, so shine on! I encourage everyone to find ways to be apart of the movement for a sustainable future. Together we can transform the world as it is, and learn from each other along the way. As a second year PICAn and a first year PICA leadership team member, this school year brought many wonderful things into my experiences in an intentional community based on sustainability. I chose to apply for the Community Meals Coordinator position because I have always been extremely interested in community building, and I thought that this interest along with my love of food would make the Community Meals Coordinator the perfect position for me. My job responsibilities included: collecting money, bulk shopping, organizing meal sign-ups, keeping track of the F quad keys, clean up, and all the duties of being a PICA leadership team member. I really enjoyed every part of my job, but I especially enjoined being able to come together through food to have discussions and just relax over dinner. I felt like community meals were a time in which people were really able to spend time with each other in a more laid-back setting, and get to know each other on a deeper and more meaningful level. There were so many wonderful things that happened regarding community meals this year. First and foremost, the food was delicious. There were so many great meals, it is impossible for me to pick just one meal that stood out more than the others. I was really impressed that the cooks were able to integrate both bulk food and harvest from the garden into mostly all of the meals, and make it into something amazing. One meal that was really important to me was the collaboration with the apprentices at the beginning of the school year. I thought that was a great way to bridge connections between PICA and CASFS, and it was really fun to be able to enjoy food and conversation with people who have similar interests in gardening and community building to ourselves. I also loved the collaboration that happened with the apprentices this spring quarter. It was fun to go to the CASFS site itself, and see the way that they facilitate their community meals at the farm, and the food there was bountiful and delicious (especially the vegan chocolate covered strawberries). I want to thank everyone in this beautiful community for making the community meals program this school year a success. I am so happy I was able to hold this position and connect with all of you through food this school year. I can’t believe it’s already been a whole year since I started working in the gardens! It looks similar to the end of last year, when the prime harvest season unfortunately begins near the beginning summer. We’ve had a wide variety of fruits and vegetables, including cherry tomatoes until November and yummy greens from the Urban Garden and greenhouse. Sure, we shared some of our produce with our animal and insect neighbors; but as part of the growing cycle, we all benefit by sharing. One of my favorite projects and accomplishments from this year are the beautiful display of tulips and daffodils behind B-1. It was the first display of springtime in the garden! Another thing that was fun to transform was the empty aquaponics system that we turned into a permaculture keyhole bed. I hope everyone has enjoyed some of the potatoes and nasturtiums that have grown from it. Garden workshops and lessons were probably my favorite, including fruit tree pruning, garlic planting, and mosaics! I can see all of the things that we have been involved in throughout the year, and the garden looks all the better for it. Thanks everyone for the great year! Working in the kitchen this year has been super fun and exciting!!! 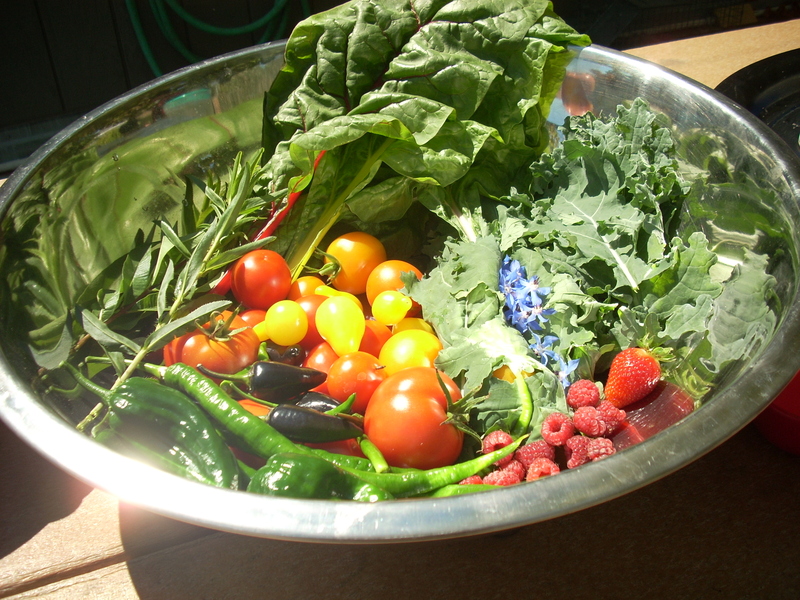 We have learned so much about growing and cooking organic food and most of all building community. Our time in the kitchen has certainly taught us a lot of things, for example making the most of what you have and using the pantry and gardens to their fullest potential. Some days we just rolled with the punches and made some of the best meals out of the simplest ingredients. Sometimes we washed too many dishes or stayed too late, and even cursed the one burner stove. However at the end of the day we ate in good company, which made it all worthwhile. While strolling through the gardens and watching everything grow one of the best things about being in the kitchen was eating and cooking the apples in the fall and the lemons in the winter. Picking and eating the berries off the vine was also the best. I even started a love/hate relationship with the mustard greens in the B-quad, for they had showcased far too many times in our meals. I learned about picking different varieties of lettuce, watching the garlic grow, and I also became quite fond of the calendula petals that adorned our lovely organic salads. I even discovered new spices, herbs and the magic of Kaffir lime leaves for curry-based dishes. I learned new recipes, such as Greek Dolmas and Erica’s famous peanut butter dressing, though sadly I can never seem to get it to taste like hers. Other great uses in the garden were the green tomatoes from summer harvest that were cooked into a lovely plant-based chili. The solar oven was also a favorite cooking instrument in which we made various kinds of vegan cookies. Learning about our food systems and where our food comes from has taught me to really appreciate the labor, time, and effort to plan out the PICA gardens. Events such as the Food Justice Fair and cooking for the Annie Leonard Luncheon were also both memorable highlights and honors which I will always treasure. 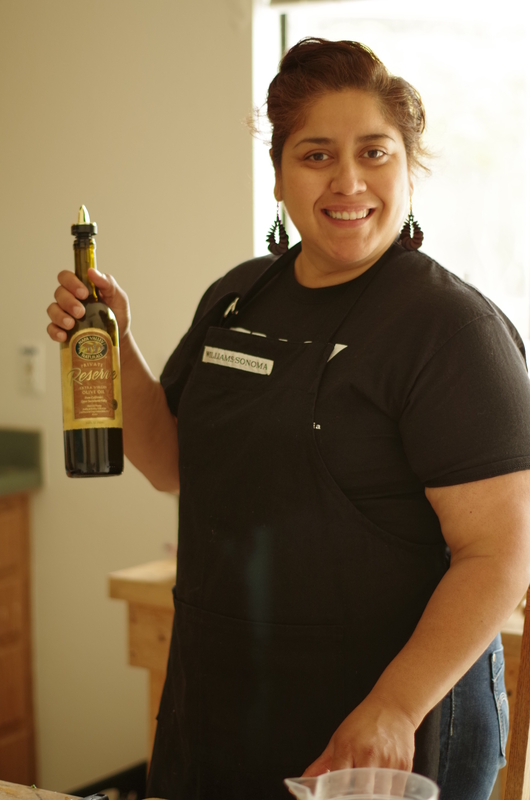 Most of all, I have enjoyed working in the kitchen this year laughing with folks, meeting new people, and making lifelong friends who share the same interests of making and breaking bread together. I am ever so thankful for working with Mira and the leadership crew this year, for they have taught me so much. I hope to continue to support PICA and make it the best sustainable intentional community for years to come. May we all continue to share our knowledge and carry a little PICA with us wherever we go! Hello fellow PICAns and villagers! 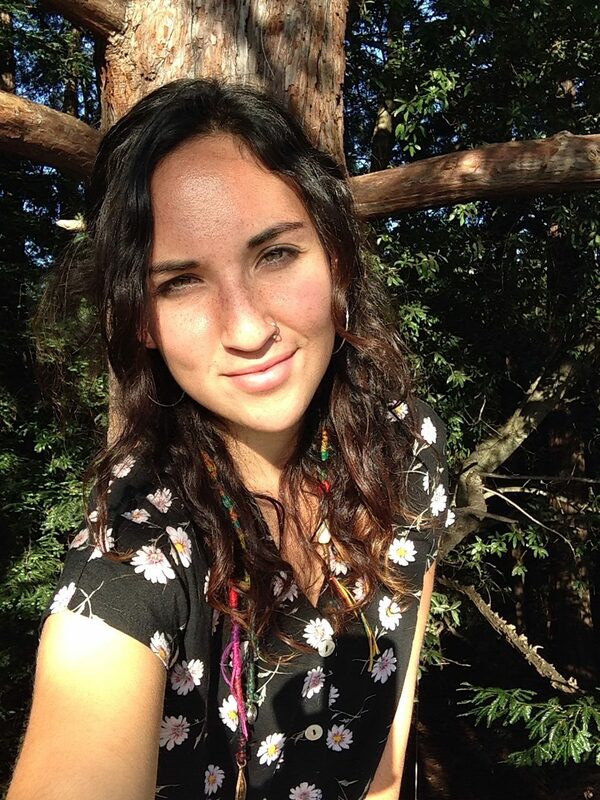 My name is Alex Eisele (eyes-lee) and I am this years compost coordinator for PICA. Compost is a great way to produce healthy, organic, sustainable and nutritious fertilizer for your garden. It is a beautiful (albeit smelly) link in the sustainable agriculture chain that connects the various end products of food production and consumption with the first stages of amending garden beds before planting. The best thing about composting is that anyone can do it, seeing as how we all eat food and thus produce food waste. Here at PICA, using the food waste generated in the village houses, we use a six-bin hot composting process, which is the fastest way to produce a sterilized, nitrogen-rich soil amendment. Although this process yields the quickest and most nutritious compost, it also requires the most attention. First we build a pile in bin #1, using a combination of food scraps (no meat, dairy, or cooked foods please! ), straw, fresh plant trimmings and weeds; various dried twigs, leaves, and plant matter; horse manure, and some water. The pile sits for a week as healthy, microscopic bacteria-buddies begin aerobic decomposition, creating an internal heat that reaches 130-150 degrees farenheit, killing all harmful bacteria and unwanted seeds. The pile is turned, once a week, down the chain of bins until it reaches bin #6, where after sitting for another week, it is sifted. The finished compost is dumped in the Foundational Roots, B-quad garden, and the larger leftovers are put into the “Bi-Sift” bin and used as a bacteria-boosting amendment when building a new pile. Although at PICA we use a hot compost process, there are a few different ways to produce compost, creating plenty of options to choose from when figuring out which method will work best for your schedule, yard size, amount and type of food waste, etc. In addition to hot composting, there is also cold composting, which includes worm composting (vermiculture), and underground compost. In cold compost, you simply build a pile or heap of intermixed layers of food scraps, plant materials, soil, and manure (if you have it) and let it sit stationary for three months to a year. Sometimes worms are added to the pile in a process known as vermiculture, which is a very good method if you do not have a lot of space to dedicate to compost. A healthy worm compost will be contained in a bin or tub (as you don’t want your worms to leave you) which is poked with holes for airflow and drainage. Add about one-half quart of food scraps per week (more or less depending on the size of your pile and amount of worms) and use shredded newspaper, straw, dried leaves and/or grass trimmings for a top and bottom layer of the worm pile. The worms feed on the bacteria which grow on the food scraps, producing what are called “castings”, the finished product of vermiculture. Underground compost simply involves digging a small hole, placing a 4-6 inch layer of food scraps in it, and burying it for about six months. The upside of cold compost is that it does not take as much work to manage since it does not need to be turned. The downsides are that it takes a much longer time to yield a finished product that product is not as nitrogen-rich as hot compost, and you may have to deal with unwanted seeds and spores. The composting process, whichever method you use, is a perfect example of recycling and sustainability. It is a metaphor for struggle and growth, the challenges we face , as it takes the waste remnants of the gardening process, and turns it into a vital source of life. I love my job as compost coordinator for many reasons, one of which is it’s metaphorical value. After high school I was a scared, depressed, self-conscious individual who, despite my best attempts, let the negative experiences in my past (various traumas and regrets) rule my future. Over the next six years I began to really look at those experiences, and confront them with intent to heal, and through the therapeutic writing of poetry (where I discovered my love of metaphor), recycled them into a strength which helped me make my most immediate dream come true: transferring to UCSC and beginning to change the world for the better, one sustainable step at a time. 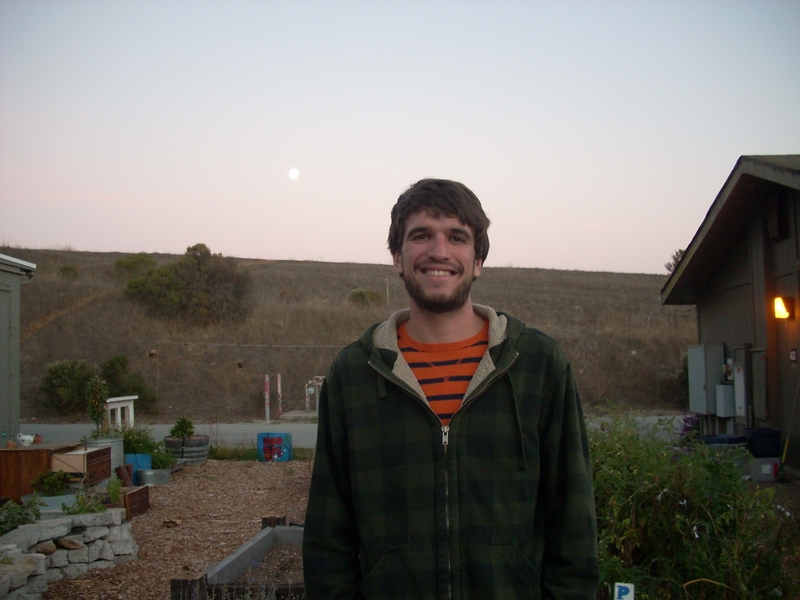 About the author: Alex Eisele is the PICA Compost Coordinator for the 2013-2014 academic year. Cooking has always been an integral part of my life. I am happiest when I can serve a good meal to the people I love. It starts with one idea, the one main dish that develops with flavor through the slow labor of love. Every ingredient is carefully thought out to please the palate and open the senses to a gastronomic journey. My purpose is to remind one of childhood memories or newfound dreams found within a warm bowl of soup, filled with herbs and aromatics. Cooking with the seasons is very organic and supplies your body with the exact nutrients it needs during each season. Cooking is a service to me, a pleasure, an art that I co-create on the magical easel of the PICA gardens. I have had of some the most incredible experiences over the past two quarters facilitating a work group with some amazing PICAns and volunteers. Working every Saturday has given me the upmost privilege to be in a space where the love of food and community is shared and adored. I am thankful that I can share my love of cooking which came from my grandmother who migrated from Mexico over seventy years ago. Her inspiration helped me to understand the concerns of people and the ability to comfort people in times of need. I value this gift and continuously use her wisdom to service people through their stomach. I believe this is the way to heal individuals from the inside out. 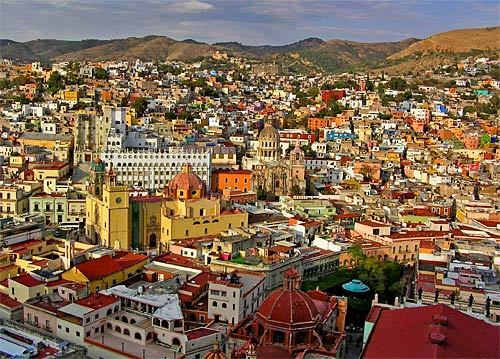 Today I would like to share a recipe for Caldo Tlalpeño that was inspired from a trip I took in 2012 to the beautiful state of Guanajuato, Mexico. This soup is especially good for kicking a cold and warming your bones. Try it with a variety of vegetables in season and Spanish rice or add chicken if you desire. 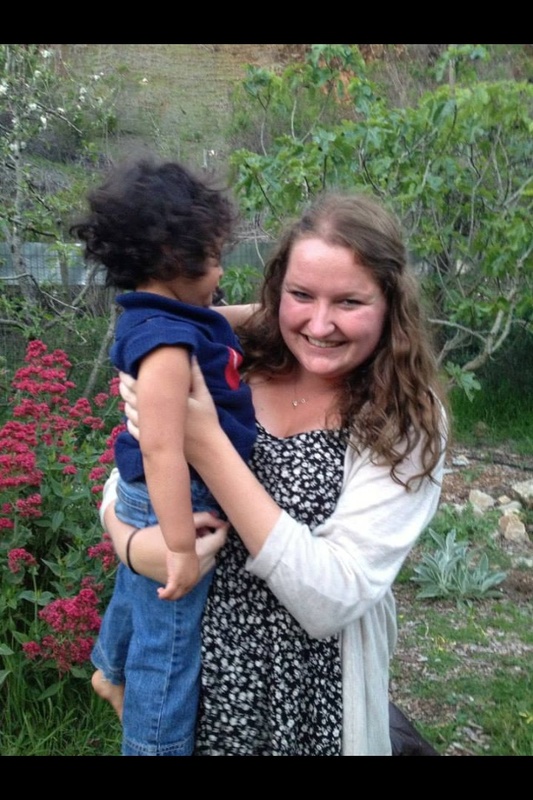 About the author: Madeline Thompson is the Saturday Community Meals Coordinator at PICA.